Okaaspain, tienda online de botitas todoterreno o de montaña de piel con cordones para niños. 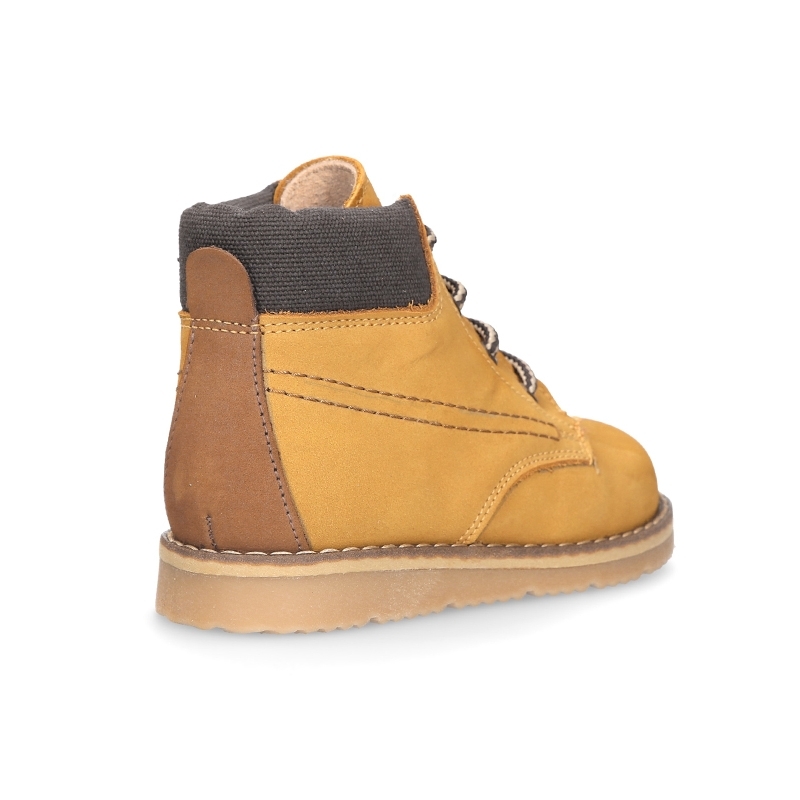 > Toddler girl>Ankle Boots>Little ankle boots mountain style in Nobuck leather. 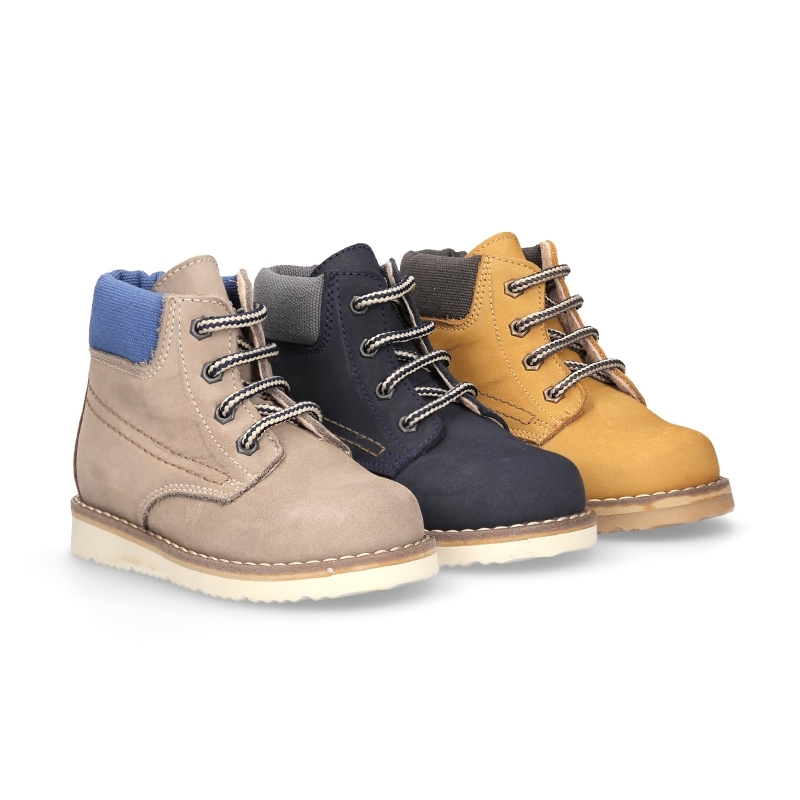 Little ankle boots mountain style in Nobuck leather. 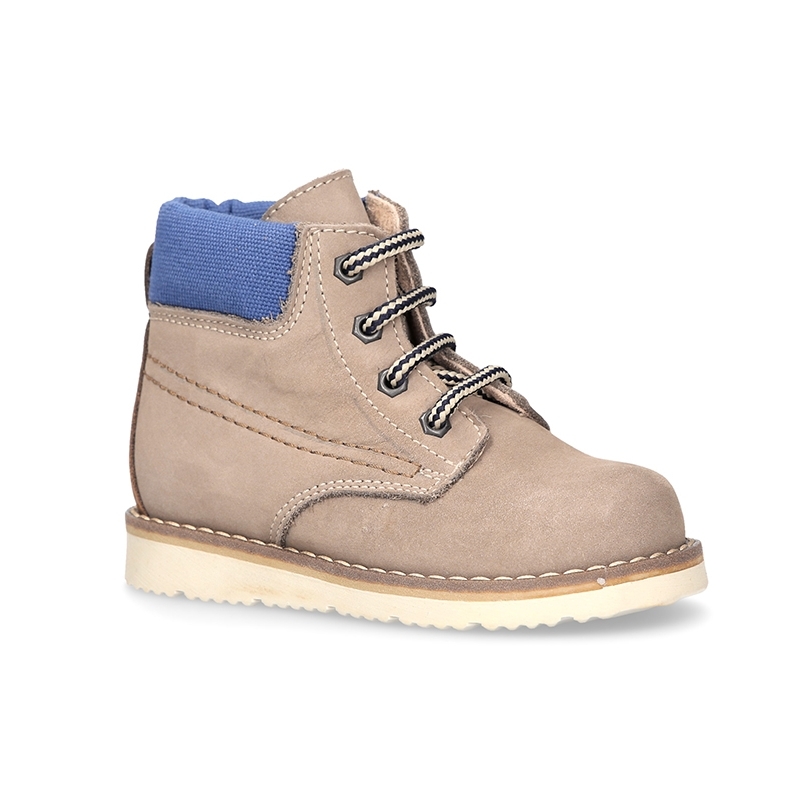 Little Ankle mountain style boot shoes in Nobuck leather for little kids. 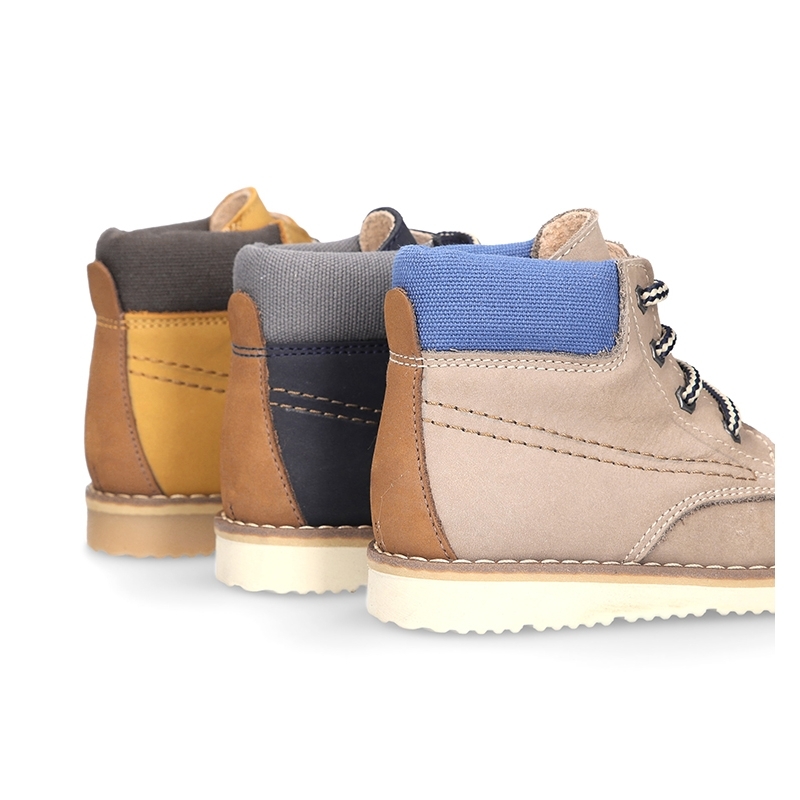 More info about Little ankle boots mountain style in Nobuck leather. 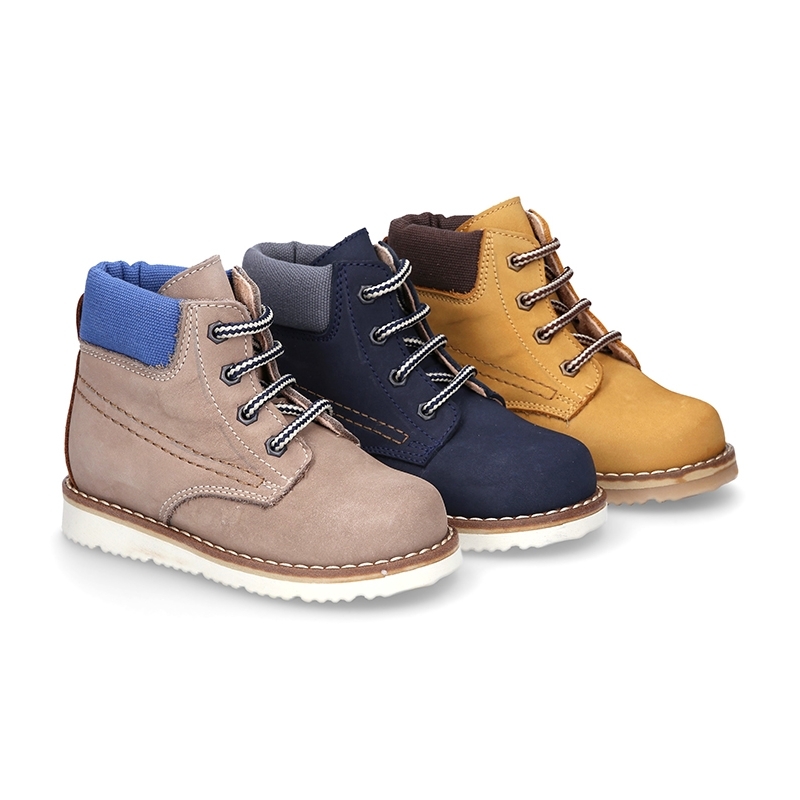 Little Ankle mountain style boot shoes with shoelaces closure in Nobuck leather for little kids. 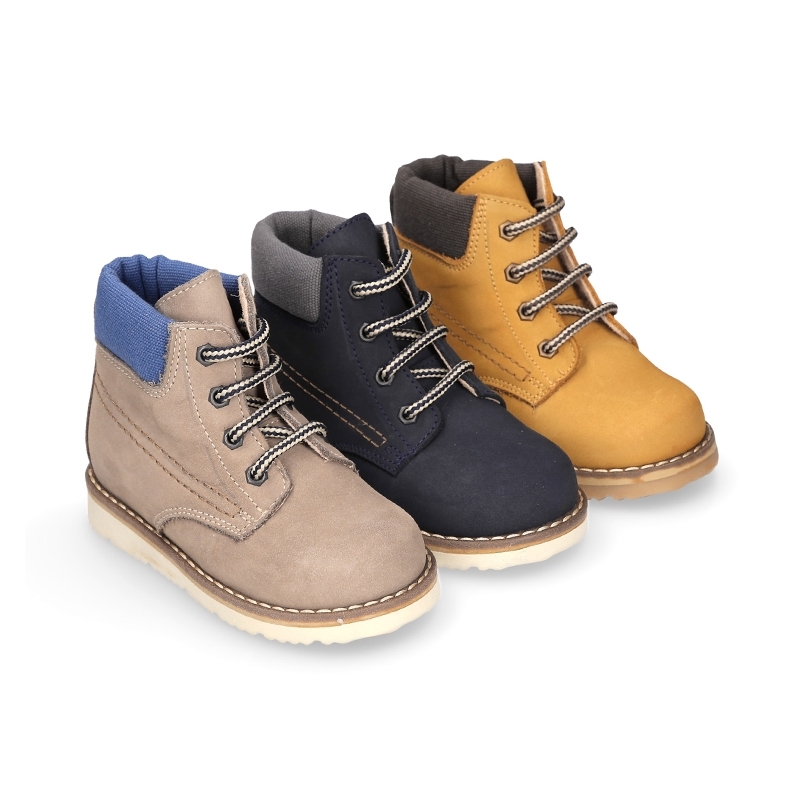 Made up of 100% natural Nobuck leather with high quality. 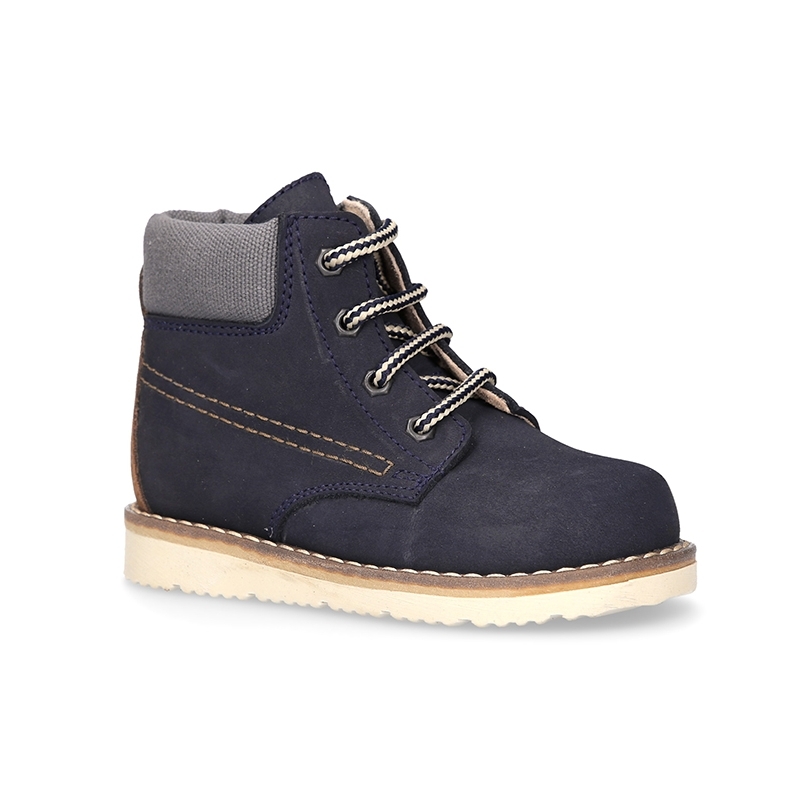 Very comfortable and practical shoes. 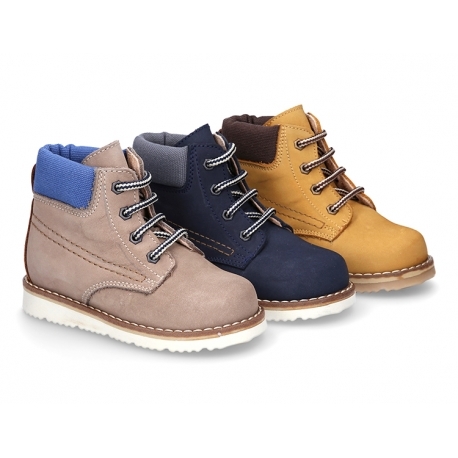 This season, are very trendy in all kids collection, mountain style shoes. 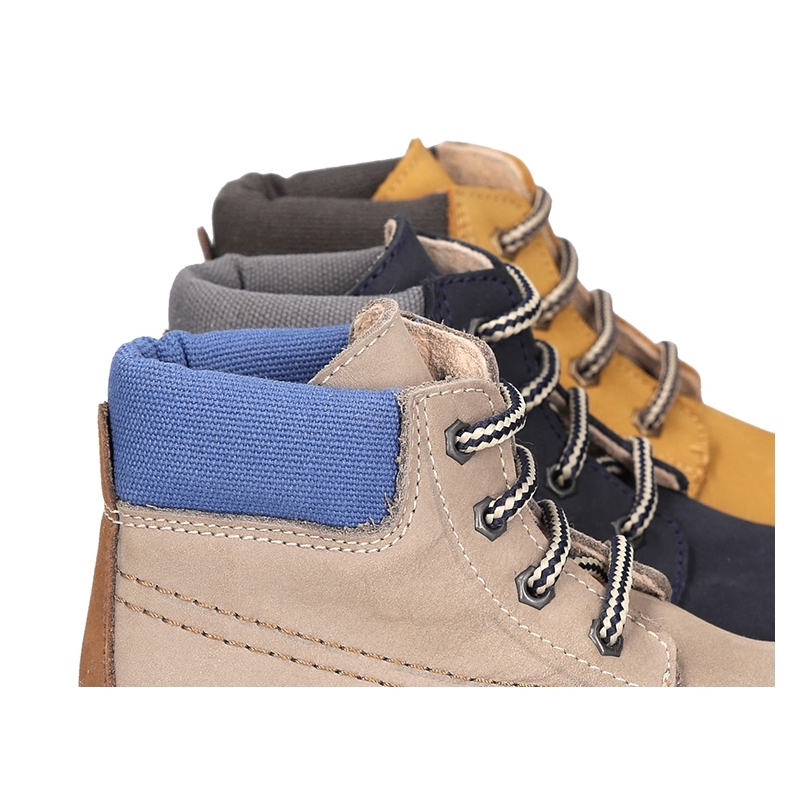 It´s a new model totally renovated and updated of the classic mountain one. Perfect to mix and match with all the autumn winter looks. 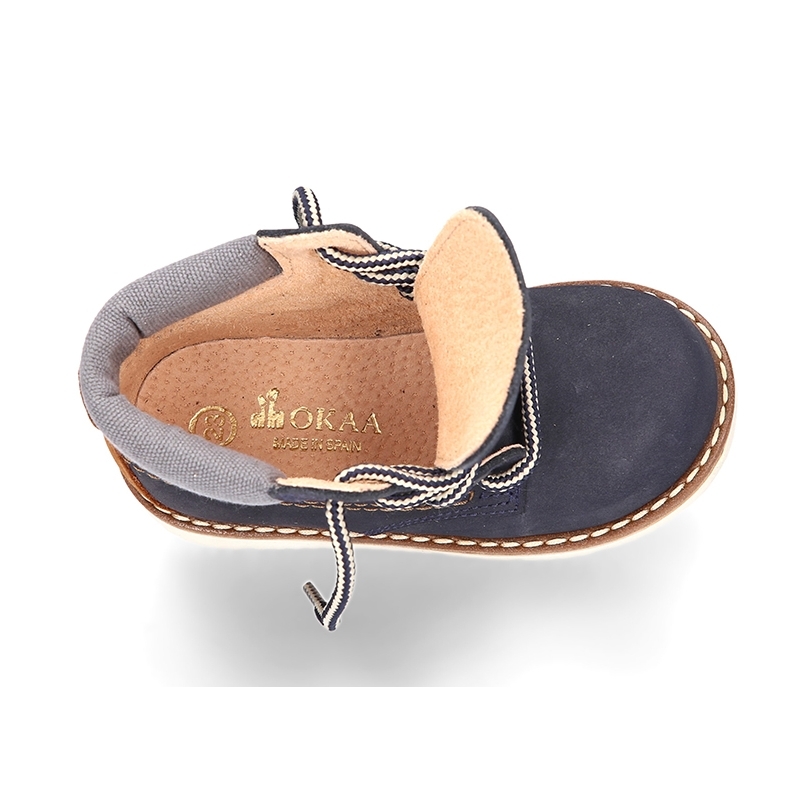 Fully lined in leather, with anatomical leather padded footbed which facilitates the natural growing of their feet. 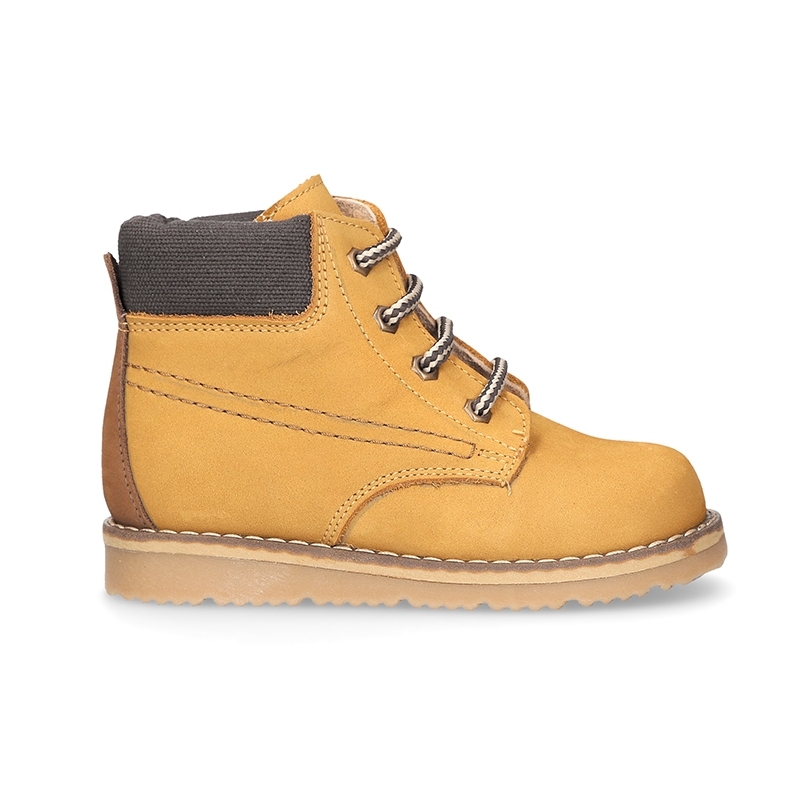 Thick rubber soles to avoid and protect their feet of rainy and cold days. 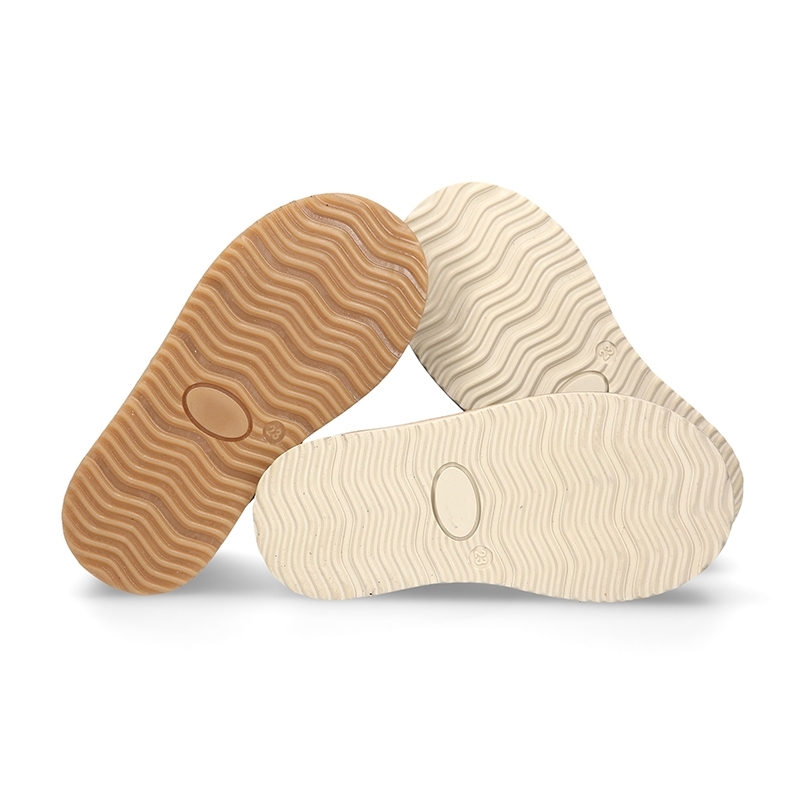 100% high quality non slip rubber soles, totally flexible to walk and play without any problems. Available in 3 colors: Size range: from 20 Euro size up to 30 Euro size. SIZING REGULAR. 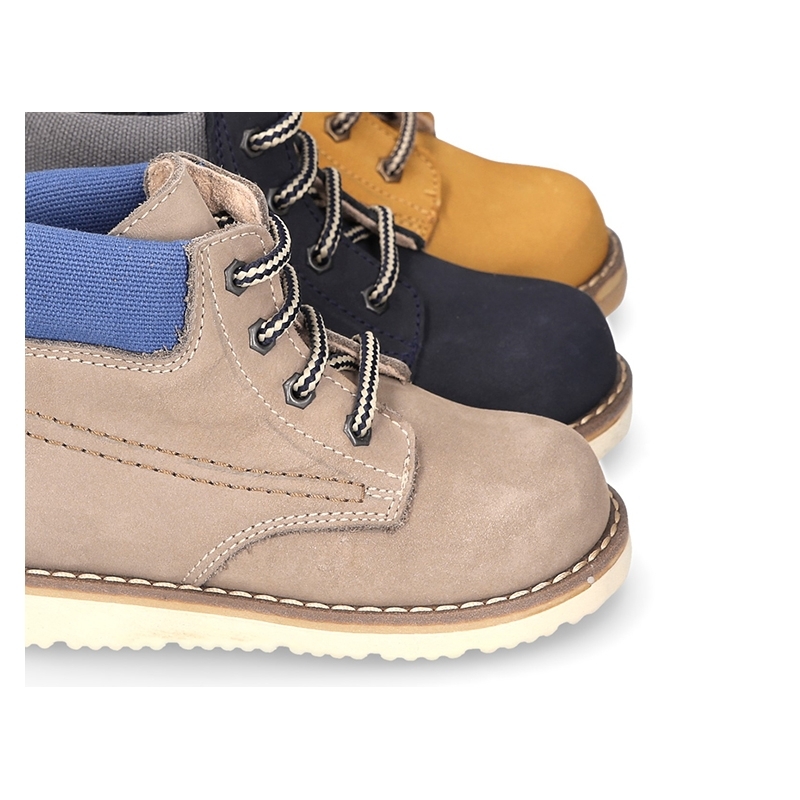 Data sheet about Little ankle boots mountain style in Nobuck leather. 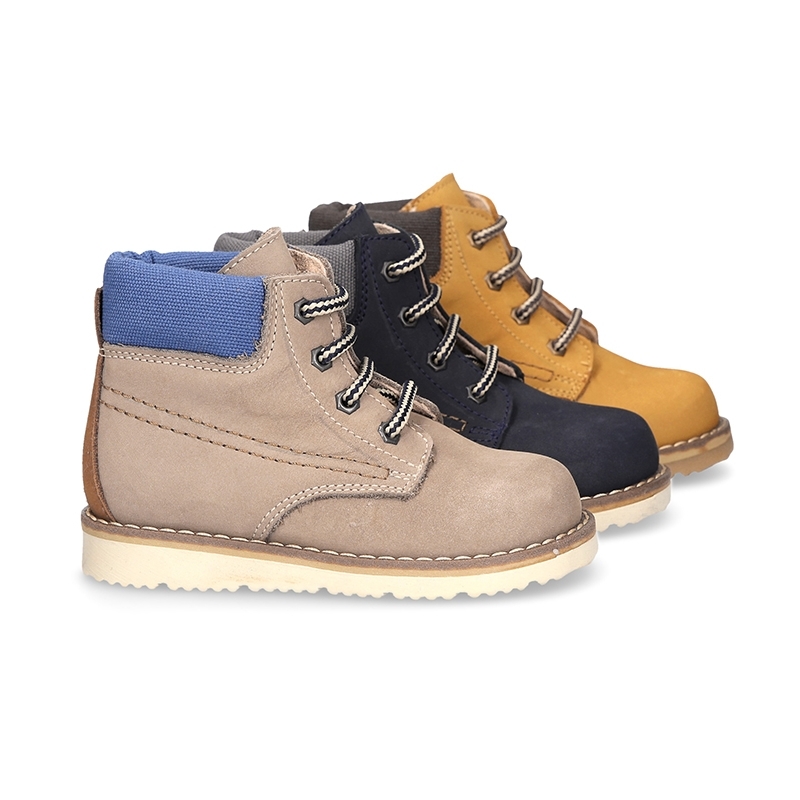 Medidas sobre Little ankle boots mountain style in Nobuck leather.